Swedish sax player Jonas Kullhammar's career always flirted with the jazz legacy, mainly the golden age of jazz in the sixties on both sides of the Atlantic, a time when seminal, charismatic sax titans were considered cultural heroes, known by all. even ones who don’t listen to jazz music. Kullhammar Quartet covered John Coltrane classic A Love Supreme and his label, Moserobie, released last year a new album of the influential Swedish sax player Gilbert Holmström. On this album he hosts his hero, tenor sax player Bernt Rosengren, one of the greatest Swedish jazz musicians of all times, known for his collaborations with George Russell and Don Cherry, 77 years old at the recording. 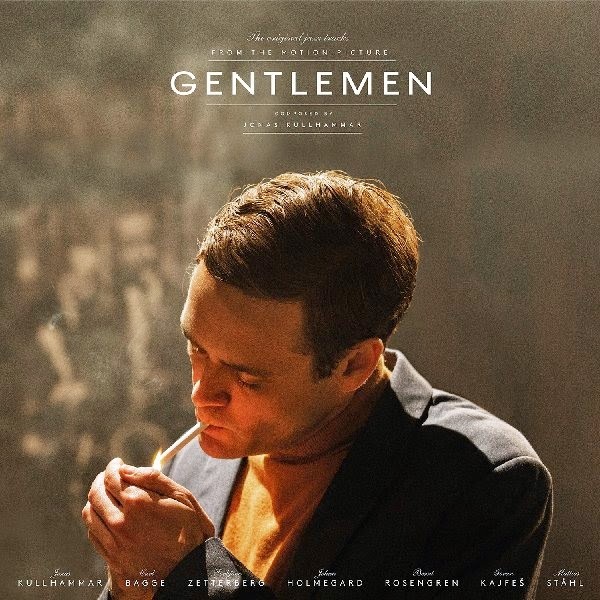 So it was only natural that his friend, film director Mikael Marcimain, asked him to compose the soundtrack for Marcimain adaption of the classic Swedish novel Gentlemen (1980) by Klas Östergren. The novel tells a story about the Morgan Brothers in post WWII Stockholm. One of brothers, Henry, is a boxer, jazz pianist and an an old-fashioned gentleman with a tendency to turn his life into a feast. Kullhammar, who plays a sax player in the movie, uses the soundtrack as a heartfelt tribute to Scandinavian jazz scene of the sixties, even employing the same old-time techniques. He recorded most of the pieces in one take, no overdubs, in the famous Atlantis studio in stockholm that was founded in 1960, even using the sound engineer Janne Hansson who recorded many classic Nordic jazz albums. The pieces capture the atmosphere of the jazz clubs of Stockholm, Copenhagen and Paris, featuring a fantastic quartet of comprised of long-time collaborator, double bass player Torbjörn Zetterberg with pianist Carl Bagge and drummer Johan Holmegard and guests as cornet player Goran Kajfeš and vibes player Mattias Ståhl. The soundtrack highlight Kullhammar deep knowledge and great love of the jazz legacy in all its transformations and incarnations but the music sound fresh and modern. The first pieces like “The Bear Quartet” and “Gazell” follow the aesthetics of the classic Coltrane quartet, but with a more open-ended rhythmic approach. Later pieces with Kajfeš and Ståhl, as “Paris Art Ensemble” and “Paris”, incorporate elements from the sixties festive free-jazz. There is a gentlemen-like vibe to the light-swinging pieces with Rosengren, all emphasize the empathic manner that the two trade emotional solos. The soulful ballads “So long, Henry” and “Ballad for Bill” haves a more reserved and melancholic sound. The “Hommage to George Braith, after the inventor of the double-necked braithphone (now part of Kullhammar arsenal of reed instruments), feature Kullhammar playing gentle melodic lines simultaneously on the rare instruments, stritch and saxello. Beautiful, moving msic. Highly recommended.